I just returned from a lovely few days in LA. First off, I want to give a huge shout out to all of the amazing people I met at LA Zine Fest! You all totally blew me away with your awesomeness. And to the LA Zine Fest organizers–thank you for organizing such a wonderful fest! The fest was bustling and busy. I didn’t have the chance to leave my table until 15 minutes before the fest was over. 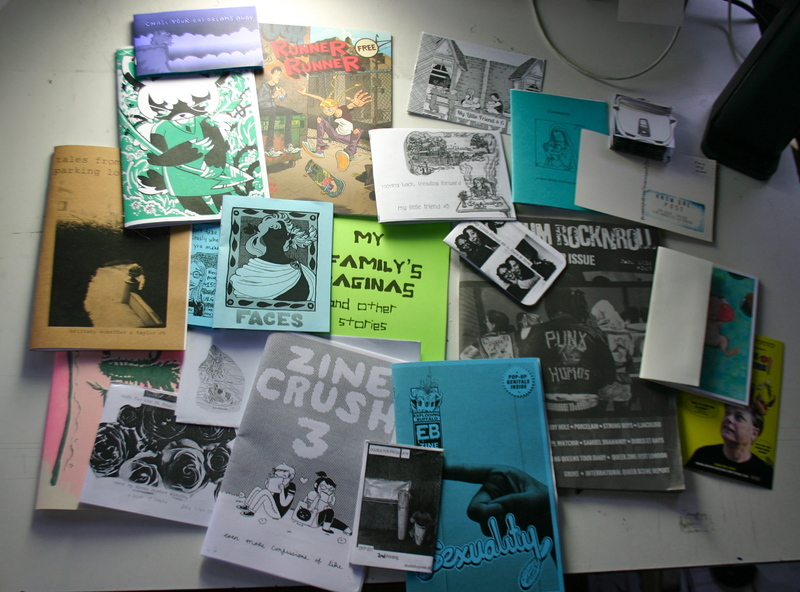 Post zine fest, I realized that there were a lot of really wonderful people/projects that I wish I could have seen and picked up their zines. Here is a photo of my stash. The awesome part: I traded almost everything. 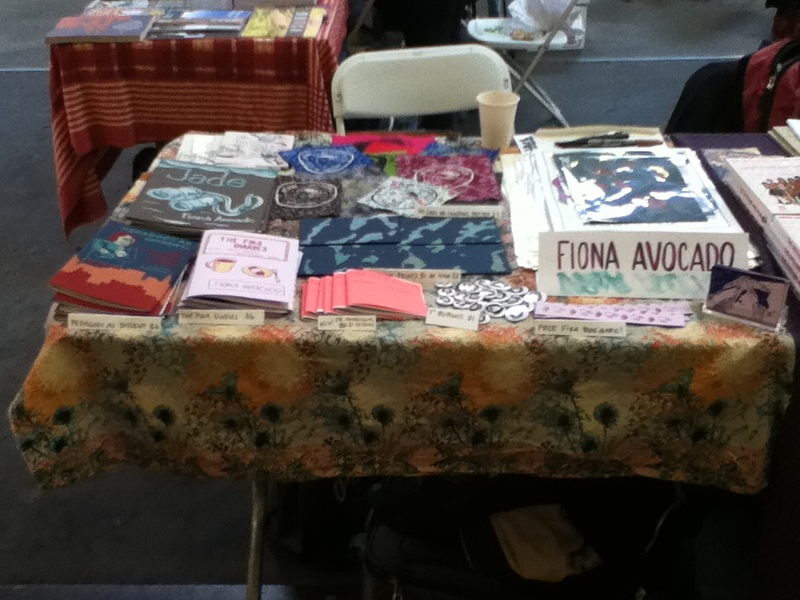 And here was my table at L.A. Zine Fest. Thanks for an amazing zine fest L.A.! I hope to make this an annual trip. 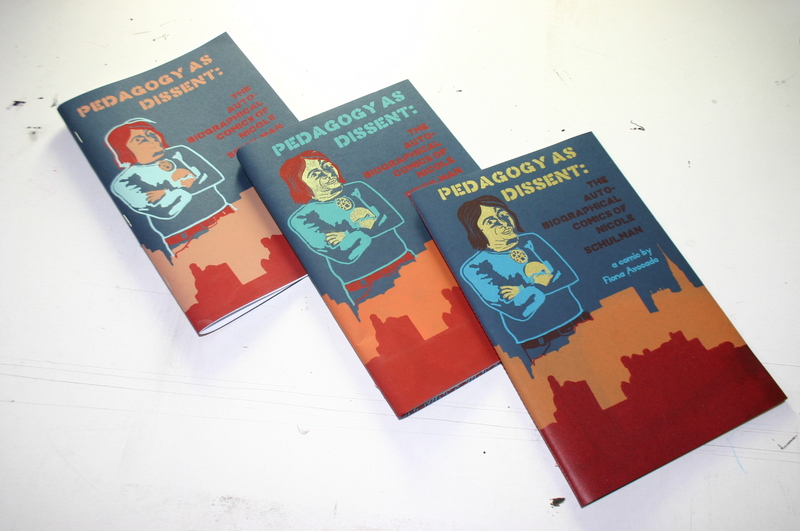 I recently finished a THIRD PRINTING of PEDAGOGY AS DISSENT. This cover is my favorite by far. Y’all are blowing me away with your excitement about autobio comics and radical pedagogy! The zine feels old, but I’m glad many of you still like it. You can get your copy here. And here is a photo of all three printings and how they’ve evolved, for your amusement. I will be tabling at CHICAGO ZINE FEST next month. It’s March 14-15. I will be launching a new comic, more to come on that. After much talk, I will be overhauling/redoing my entire website. My work/identity has shifted a lot since I started this blog four years ago. I’m excited to show my work and update the world in a new way. Other BIG changes and future projects. More on that soon.